Most tarantulas are not known for being communal. Some species may keep the babies with mama for a little while. Some have what appear to be large family communities in the wild. But in captivity, put two tarantulas in a cage together and you end up with one fat T.
The rare exceptions seem to be some type of Pokie. 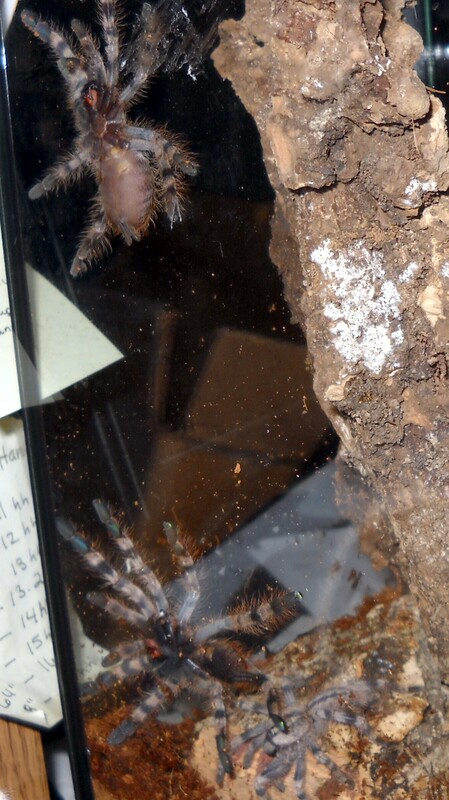 I have an experiment going with a set of three P. formosa brothers. I got Winkin Blinkin and Nod as 3rd instars, a little over 1 3/4" DSL. They were selected for me by the breeder, I asked him to get me three that were already sitting together. They are in a large glass habitat with a screen top. They have plenty of room, it's damp enough, and I keep food (crickets) in there all the time. I observe them 5 days a week. 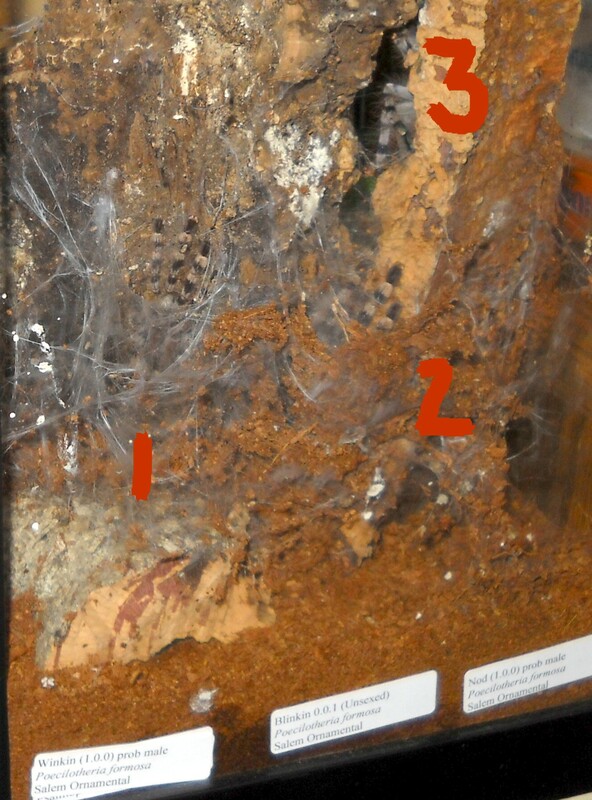 They each have web-hammocks, favorite spots on the tank they like, and several burrows under the edges of the cork bark down into the substrate. 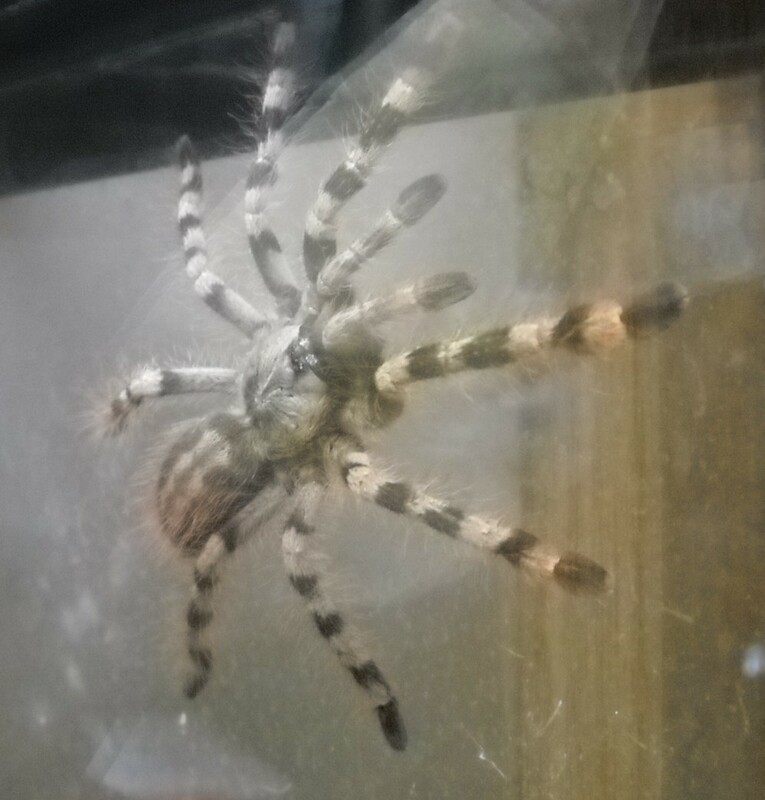 They have all molted several time, and are still very close in size, though I can tell all three apart. I watch them to see who eats when I add in fresh crickets. Nod, the smallest, eats frequently. At some point in nearly every day, I will see them grouped together, legs overlapping each other. They have also been in a hammock together, back to back (I could not figure out why I was seeing tops of toes and bottoms of toes in the same hammock). They do not seem to tussle, shove, fight, or jump if one crawls near or over another. I will continue to watch them, fingers crossed, and see if they will tolerate each other until mature. This species is supposed to be one of the most likely to succeed in communal living.